It was almost the end of February and soon the birding season was going to get over. So we chanced upon the first opportunity to make a quick visit to Annamalaicheri near Chennai. 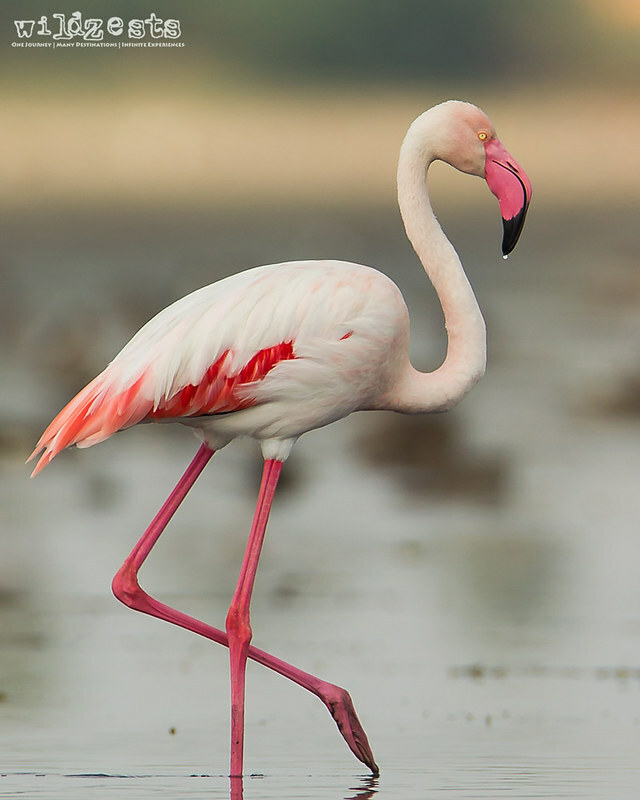 The Pulicat lake or lagoon is one of its kind and hosts a large variety of migrants birds and waders, the flamingos in particular are an attraction here. We had made a similar visit in 2012 but had limited luck with the flamingos since there were only a few that were settled far away in an inaccessible spot. So this was again going to be a matter of chance, but that's what birding and wildlife watching is about, you gotta be at the right place and wait for the right time. This time we were lucky to have a much closer view of the flamingos, but still it wasn't as good as what you'd experience in the Rann of Kutch. The morning light was quite good though and we were able to get a few decent images of the juvenile birds who were now almost 4-5 feet tall and seemed ready for their first migration. Apart from the flamingos, we saw a huge flock of Northern Pintail ducks near the shoreline but they took off as we approached them. 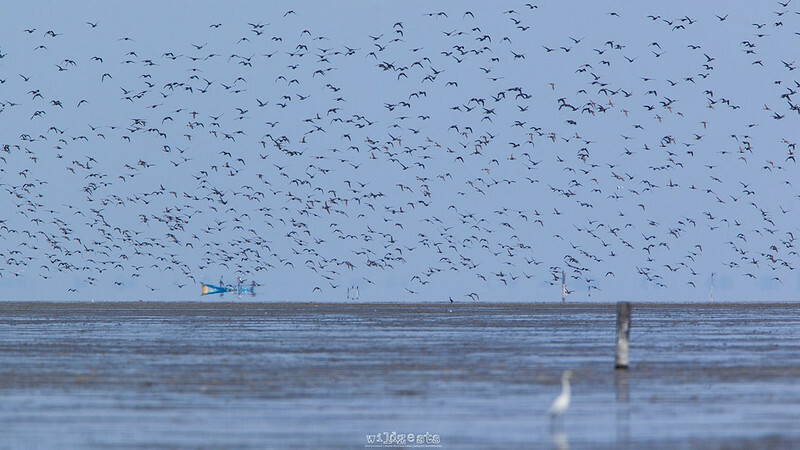 It was a nice sight to see hundreds of birds fill the blue sky. Getting the flamingos in flight with the 600mm mounted on a tripod in a boat wasn't the easiest thing to do, but I did manage to get a couple of decent shots. One of those shots has been procesed to look like an oil painting and I liked this version better than the original. The texture on the otherwise dull blue sky makes a huge difference I feel.